Linen ensembles and particulars are having a huge moment this summer. We’re not surprised as it is one of the most comfortable fabrics to sport in high heat! 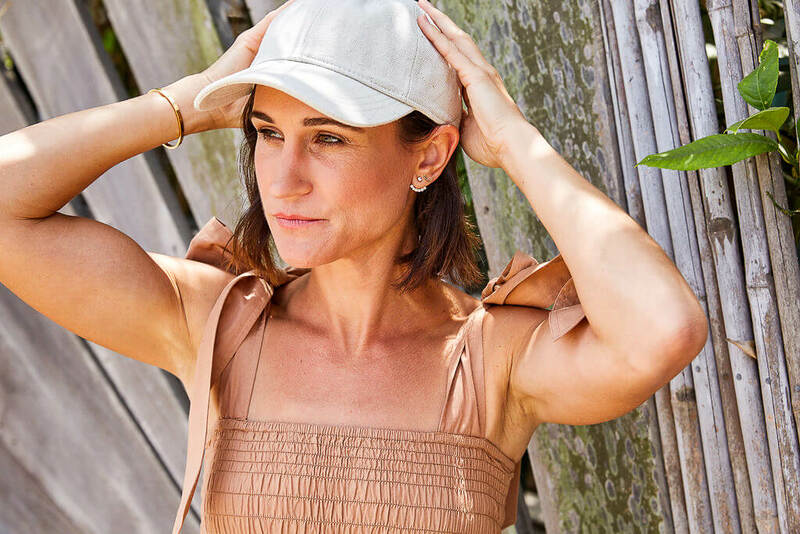 We’re used to linens as beach cover-ups and as loose-fitting loungewear, however this season, linen has become so much more. 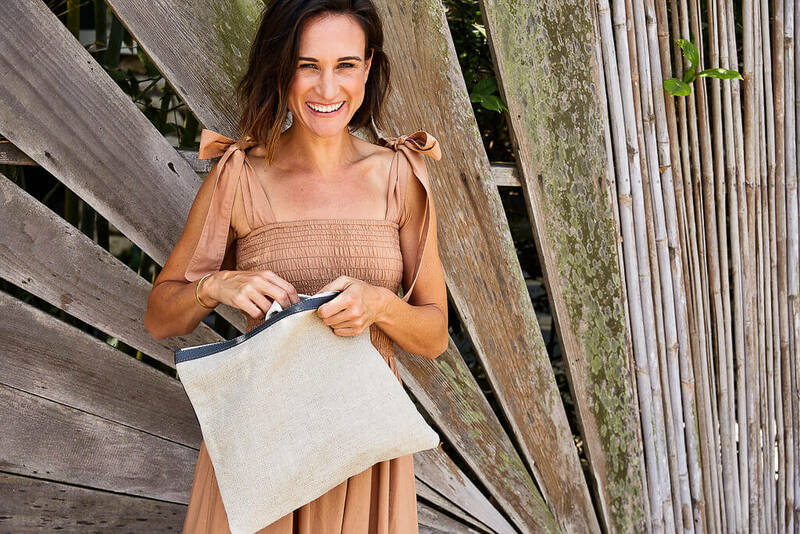 Mara Hoffman has continued to showcase high-quality, organic, and recycled fabrics in her collections, shining the spotlight on linen. We’re obsessed with the gorgeous white dress she put out this season. The sweetheart neckline, buttoned bustier, and balloon sleeves have us swooning. Alexa Chung showed a beautiful cream linen suit. We love a good power suit in the summer, but they tend to get hot – this is the perfect solution. We can already see ourselves showing up to that backyard cocktail party looking chicer than ever. Zimmerman’s resort collection is to die for. The ivory linen dress which has several stunning cutoutsis definitely a favorite. This is the ultimate dress to wear for a summer night out with friends or date night. It is also the perfect vacation dress. So, you want to try this trend out, but don’t want to end up looking like the cast of Miami Vice. We hear you. The solution? Start out with a simple white linen dress. Flowy or straight cut, you pick. The great thing about a simple dress like this is that you can wear it casually or a little more formal. Just switch up the shoes. We love a little tennis shoe for those summer afternoons and a block heel mule for those evenings out on the town. 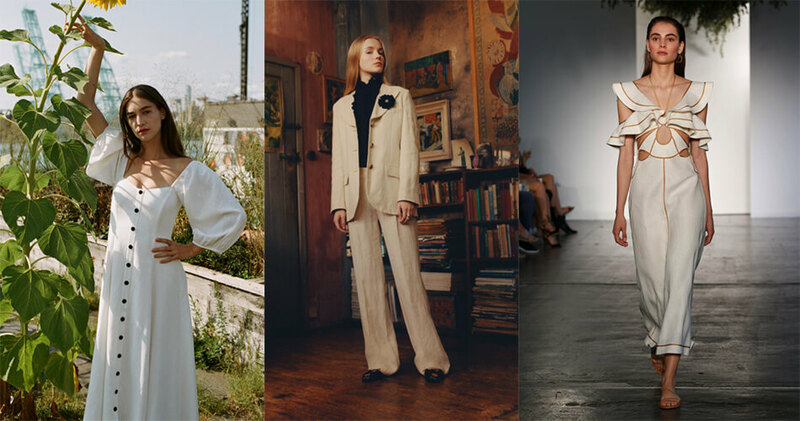 If you are going to invest in a pantsuit look this summer, make sure it’s linen. From the office to a wedding, and everything in between, this is a must this season. One staple every girl should have in her summer wardrobe is a crisp white linen top. It is perfect for those warm days when the last thing you want to do it put on a shirt. A linen shirt is also great for vacation or the beach. Throw it over your bathing suit for an easy cover-up. Going out after? Toss on a pair of jean shorts and a heel. We love when trends take a more practical route. 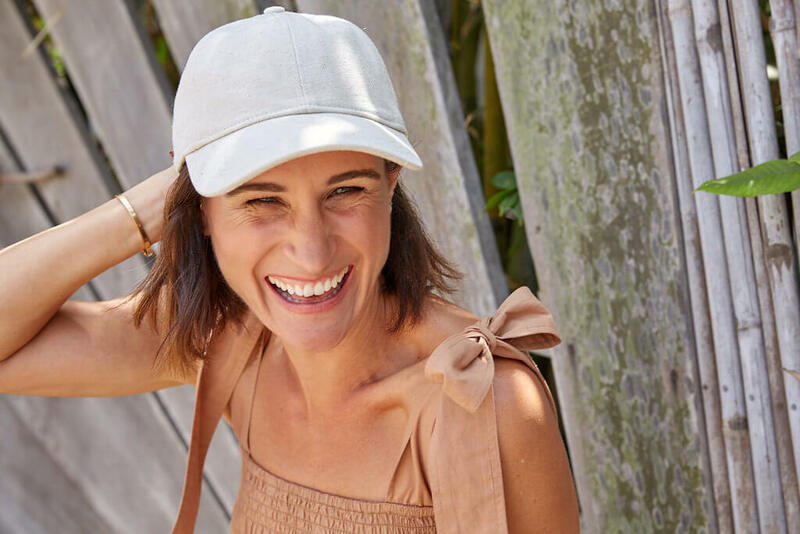 This summer linen has your back keeping you cool, keeping you chic, and keeping you on trend.